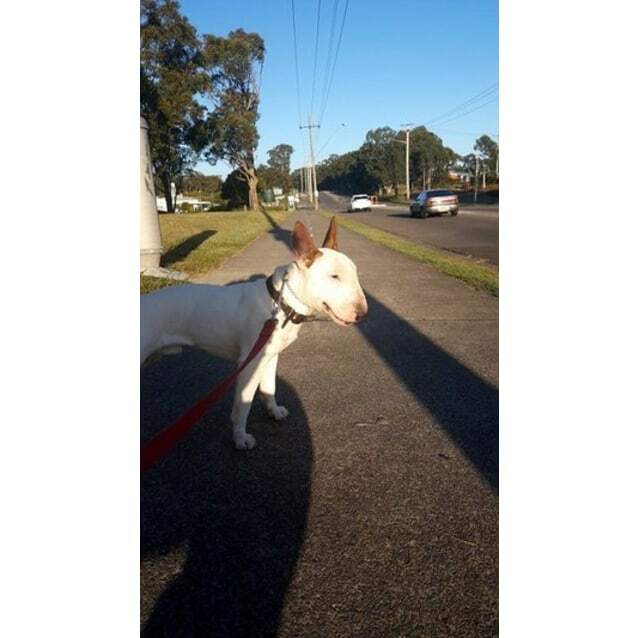 Contact NSWBTR Inc at NSW Bull Terrier Rescue to express your interest. 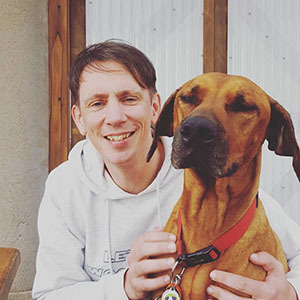 Another successful adoption - amazing work NSW Bull Terrier Rescue! 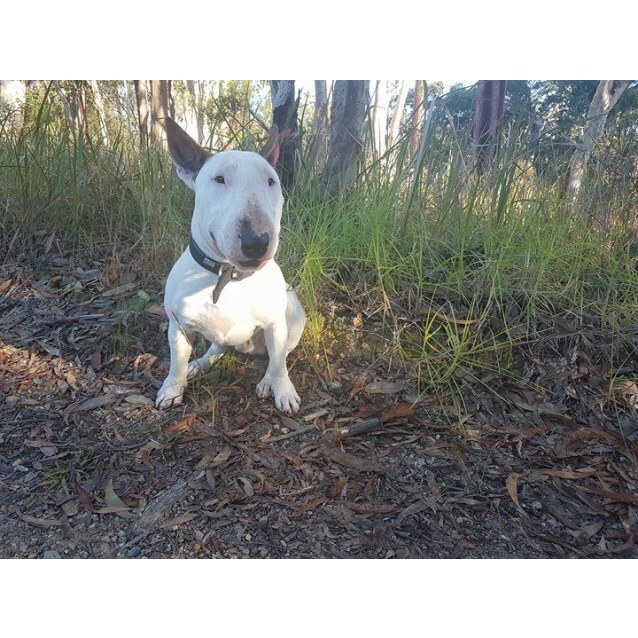 More successful adoptions - amazing work NSW Bull Terrier Rescue! You can tell me all your secrets and I will never tell!! Meet Butch our handsome young boy whos ears dont work. But dont let that fool you he is smart as a whip! He is on the lookout to find his special Furever Fambully who can help him learn all there is to be a good doggy citizen. With his gorgeous looks, and his unique character he could charm anyone into his circle of slaves. 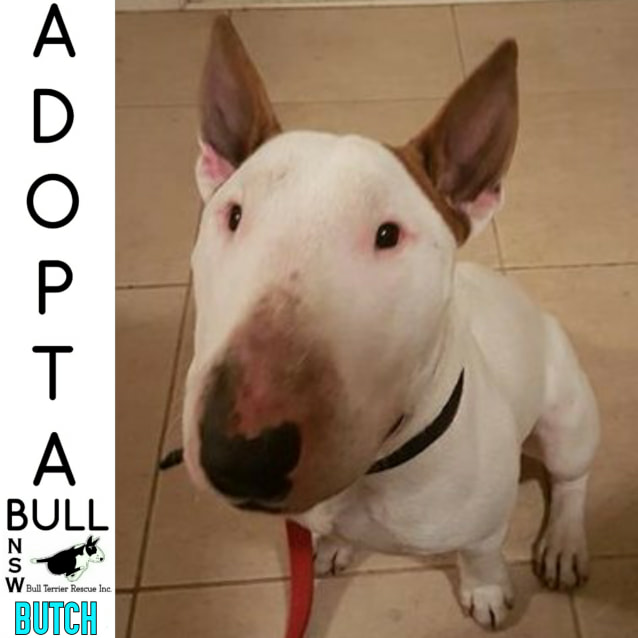 Butch would best suit a family with bull terrier experience and with no little kids. 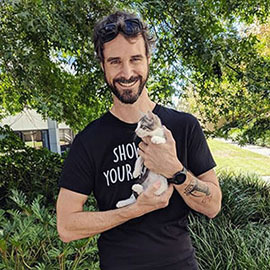 Please complete & submit a Foster or Adoption Application form via the link below. We will then contact you via phone, organise a property check, then a meet & greet between you & your chosen Bull Terrier. We offer a two week trial period with regular follow ups & ongoing support. Please visit our new website to view available Bull Terriers, all documents & forms & links to our Facebook Groups & Page.